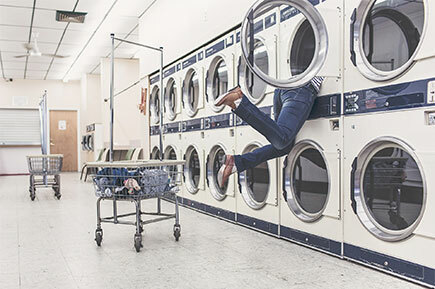 Home » Greenroom » Laundry Services – Are they Necessary? Hiring a laundry service to take care of your linen and laundry related needs is incredibly helpful. By hiring a laundry service you will save valuable time and cost, so you can focus on what you do best. Time is money. A cliché, sure, but like most clichés, it’s true. Deadlines, work, guests, the kitchen, housekeeping – you need to juggle these things, and more, to run a good business. But, a good laundry service gets this stuff in bulk, for an affordable price. They are guaranteed to fix up and clean your linen using the best detergents on the market. Let’s take restaurants for example. If the restaurant does not use a laundry service, then they will have to deal with cleaning linen and uniforms themselves. However, if the restaurant does use a laundry service, then employees will simply send the dirty linen and uniforms away to be cleaned, and receive clean linen and workwear.